Some of the machines on show at the 2018 Machine Show. Photos: Alex Rea. Braidwood is set to host the third annual Machine Show from Friday 29th – Sunday 31st of March. 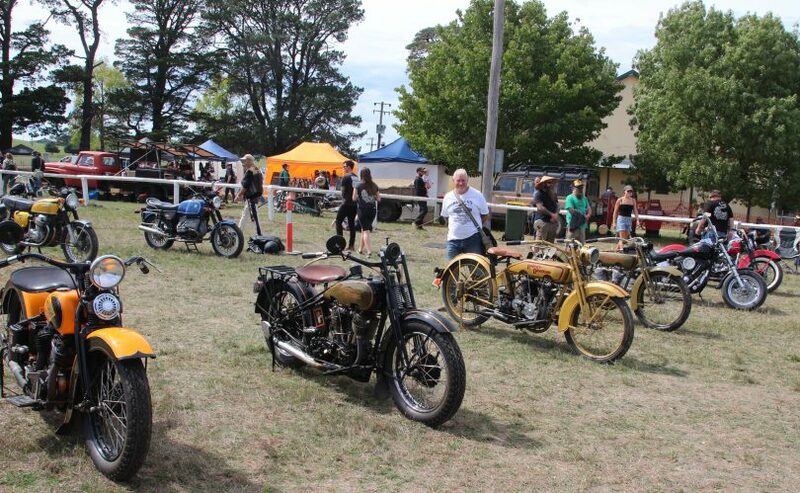 The Machine Show is a vintage motorcycle camp-out weekend get-together for folks of all ages, all motorcycle marques, all motorcycle styles – pre-1989 – held at the Braidwood Showground. Architect and bike builder Matt Darwon – aka Matt Machine – started the show to bring together riders and their machines from all walks of life, across Australia. Nelson Sargeant participated in the junior build competition. “We all know how addictive motorcycles can be, and you will hear many stories about how a motorcycle, or motorcycles have become rooted in the soul of riders over the last hundred or more years” says Darwon. 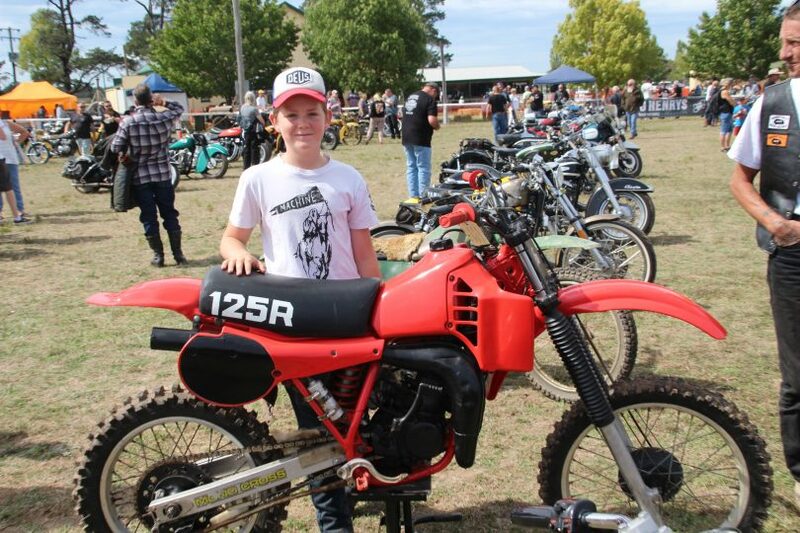 “We plan to grow The Machine Show over the next 5-10 years into one of the best shows on the Australian and hopefully world motorcycling calendar. We expect to be still doing this show, (if the motorcycle gods are willing), 20 years from now. We are here for the long road, you know the one, with all the twists and turns that you never want to end,” Matt Machine continues. This year, 2500 people are expected to head to Braidwood, and with great prizes up for grabs, like the Lucky Door Prize. It’s a trip to any motorcycle event, anywhere in the world, but this year the value has doubled as you can also take a mate or partner along too. You must be at the presentations to win the prize. Presentation starts at 4 pm on Saturday and you will have just one minute to come forward and claim the prize. Throughout the weekend, participants are welcome to sell parts or a motorcycle and treat the entire weekend as an informal swap meet. The major judging is announced on Saturday afternoon. 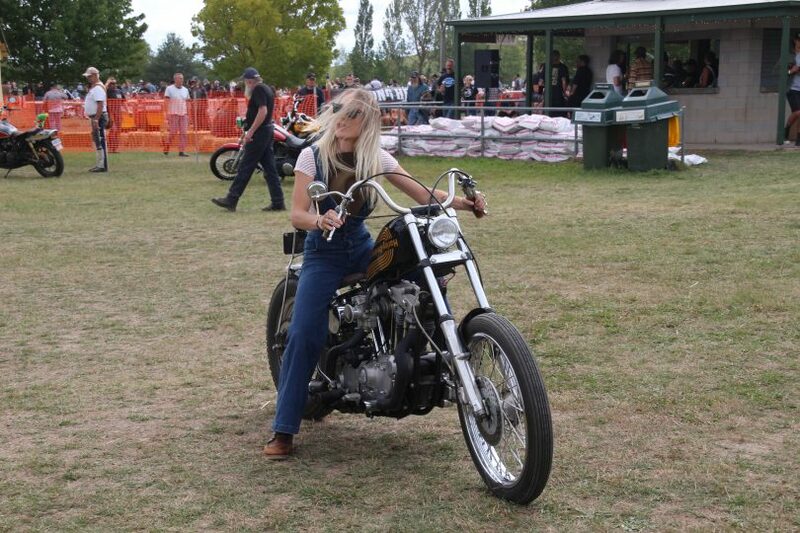 The Machine Show organisers are trying to promote a very laid-back weekend of motorcycles, camping, and hanging out around a campfire out in the country. “We don’t pretend to be a music festival, and we don’t intend to be a dirt track/drag weekend,” says Darwon. A great weekend to let your hair down. Gates will open at 12 midday on Friday with Sunday being roll-out day. Day passes will be sold at the gate and concession passes with proof of concession on the day. Bar facilities, coffee and food vendors will be available on site. Go to https://themachineshow.com.au/ for more information and to book tickets, and follow them on Instagram for updates.